Everyone has a sporting alter ego waiting to come out. Or may be not. 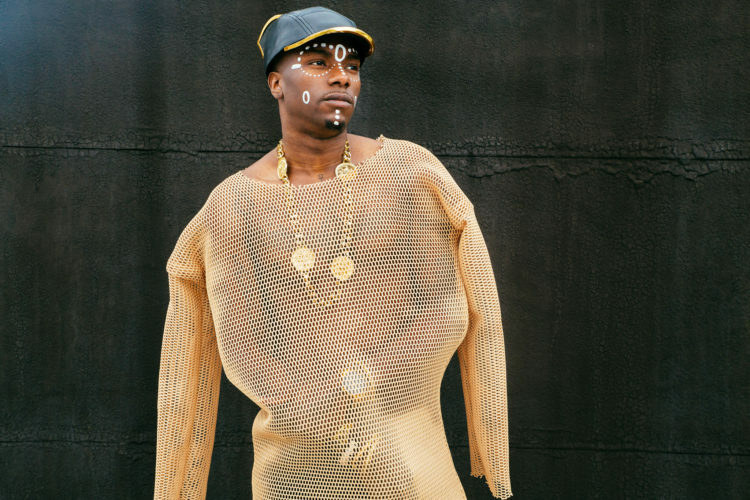 Either way, as part of a new series, we ask stars from the world of music, film, fashion and the arts about their sporting inclinations. 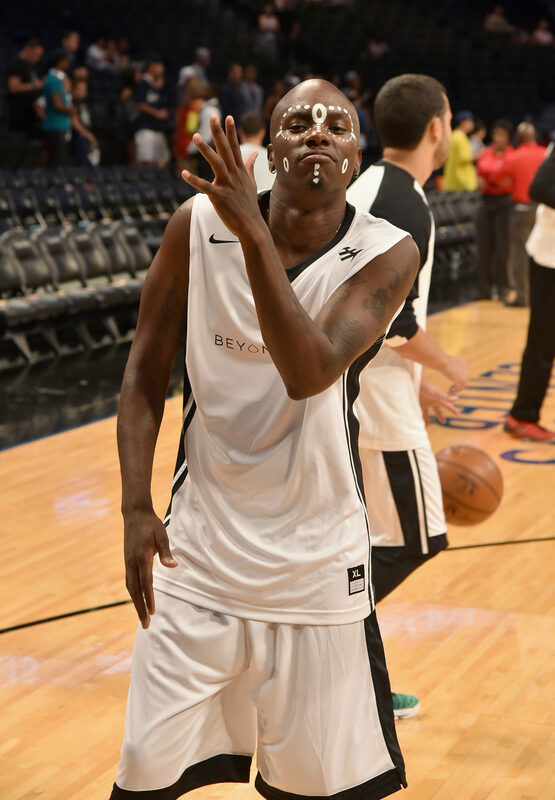 Young Paris – artist, entrepreneur, musician, and newly signed to Roc Nation – tells us during a Roc Nation charity basketball game at the Barclays Centre in Brooklyn why b-ball is close to his heart. 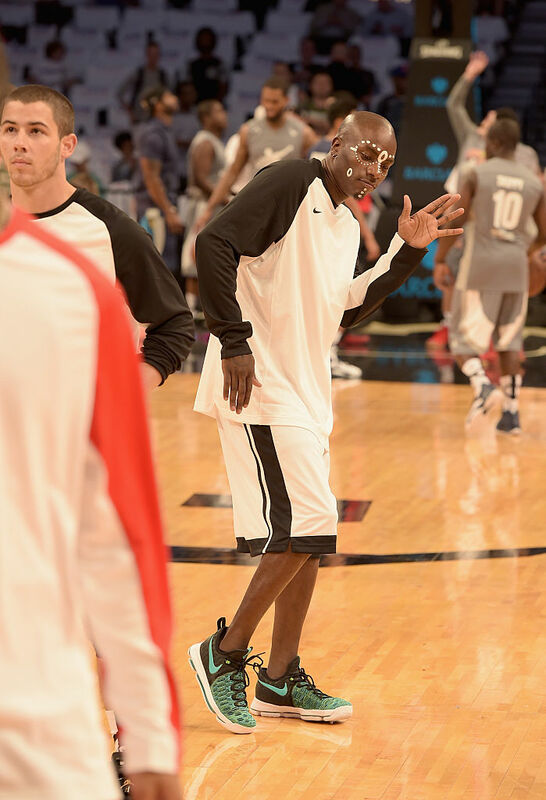 How did you get involved in the Roc Nation charity game? I stopped by the Roc Nation offices and was invited to join the event as a guest, then asked if I’d play. I said sure why not. After agreeing I checked out the organisations involved and felt even more happy about being a part of it. I’ve played ball since I was young like every other kid. All the way from elementary school into high school and I still play when I have time. I’m more of a fan but I can hoop. Who would be on your dream team? I’d say, Steph Curry, Lebron James, Tim Duncan, Kevin Durant and Derick Rose. Shaq was known for dominating the D and Iverson for his quick hands. What’s your signature move? I like to take it to the hoop and I have a thing for getting rebounds. If you could play a 1v1 against any artist, who would it be, and why? Probably Pharrell… so I could pick his brains while we play. (a) Jordans or AND1? Jordans. (b) Michael Jordan or Magic Johnson? Jordan. (c) Stephen Curry or Iverson? Iverson. (d) Kevin Durant or Lebron James? Lebron. My African Vogue project, new recordings and collaborations and look out for this Best of Me release!